First of all, note the red and blue color theme. I was all heart-eyes for that, especially since red is my fave color. 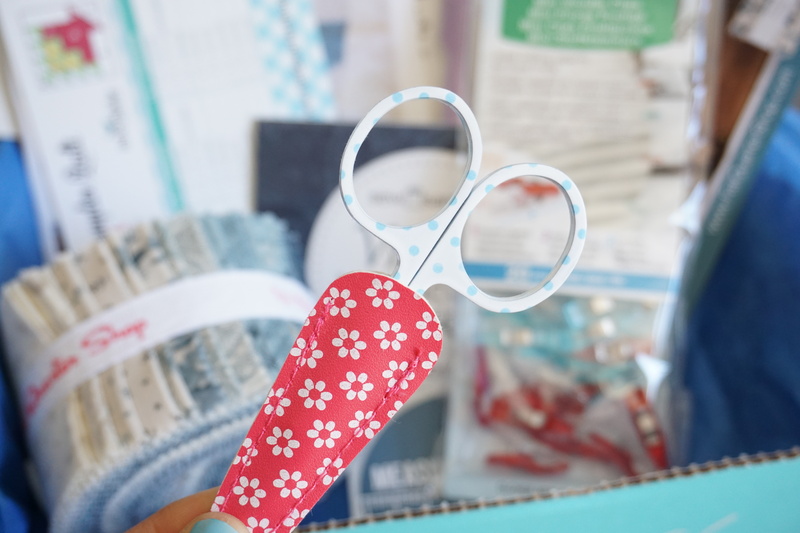 I collect embroidery scissors so I got pretty excited about these polka dot scissors and protective floral case. 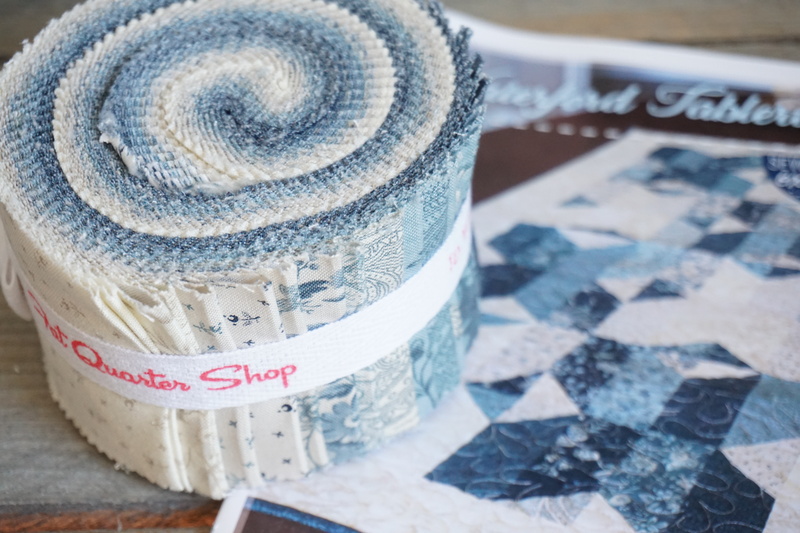 Included was this yummy jelly roll in a classic and timeless blue and white color scheme, with a jelly roll friendly pattern to go with it. 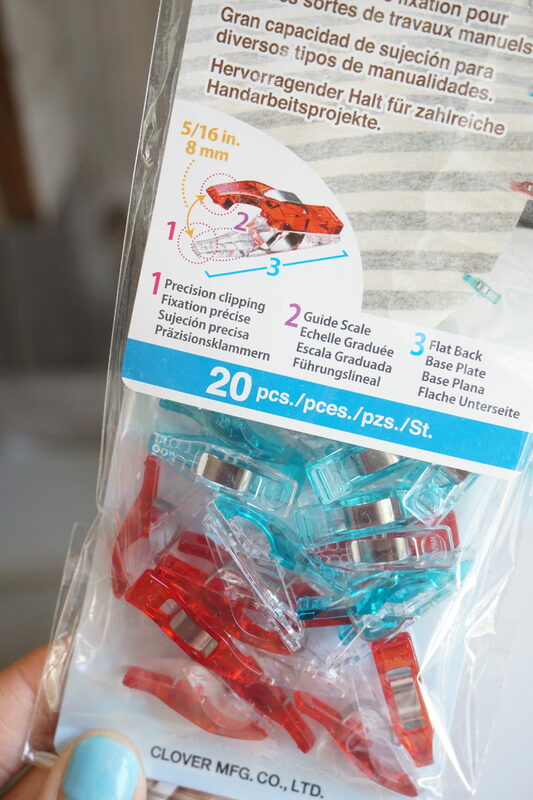 Have you ever tried using these clover precision clips with the pointy end? They make wonderful alternatives to pinning, and I use them a lot when I quilt-as-you-go. 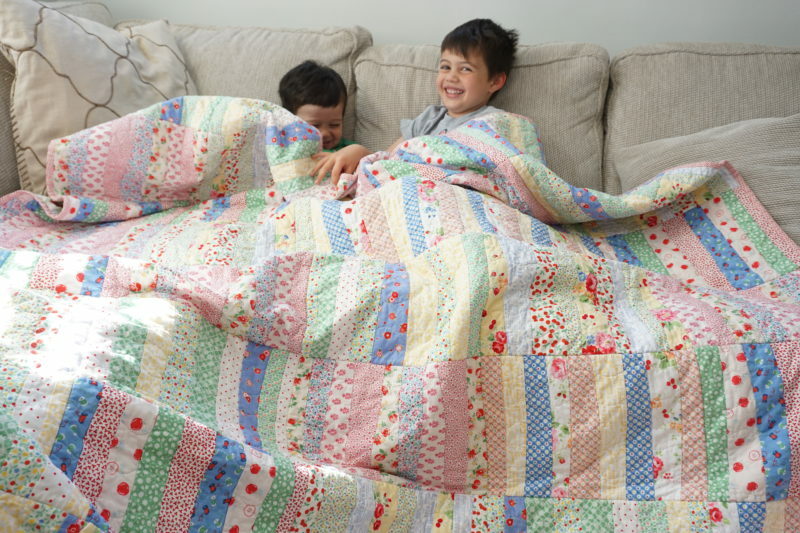 In fact I recommend these clips in my upcoming book, Quilt As-You-Go Made Vintage and explain how I use them in the “supplies” chapter. 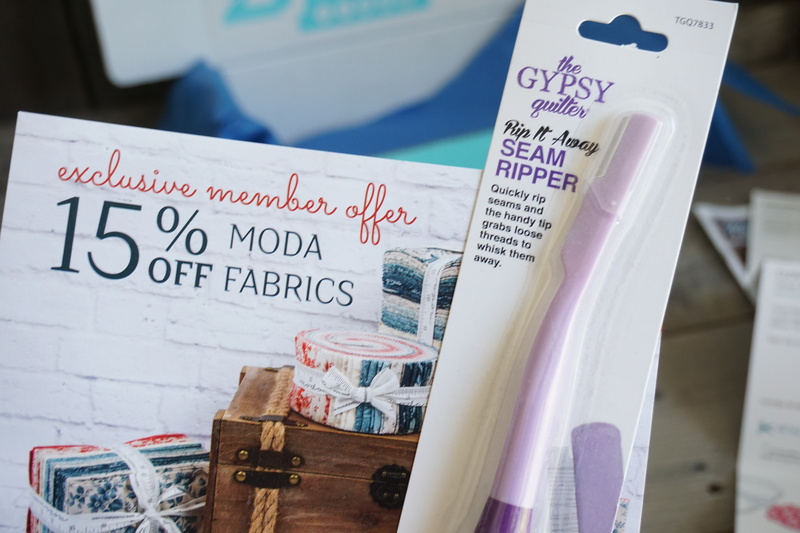 This seam ripper means business! It’s basically a blade on the end of a cute, purple stick. I’ve never tried it, but when that time comes (which seems too often these days), you better watch out! 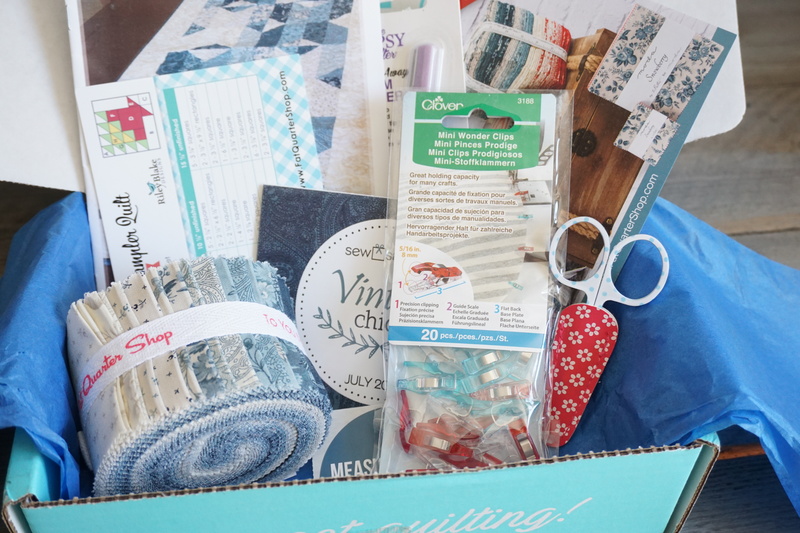 That was just a few of my favorite items from my very first Sew Sampler Box – I’m already SO excited to receive my next box this August! I can tell that Fat Quarter Shop put a lot of love and thought into curating a cute, fun and useful box that can appeal to a lot of people. 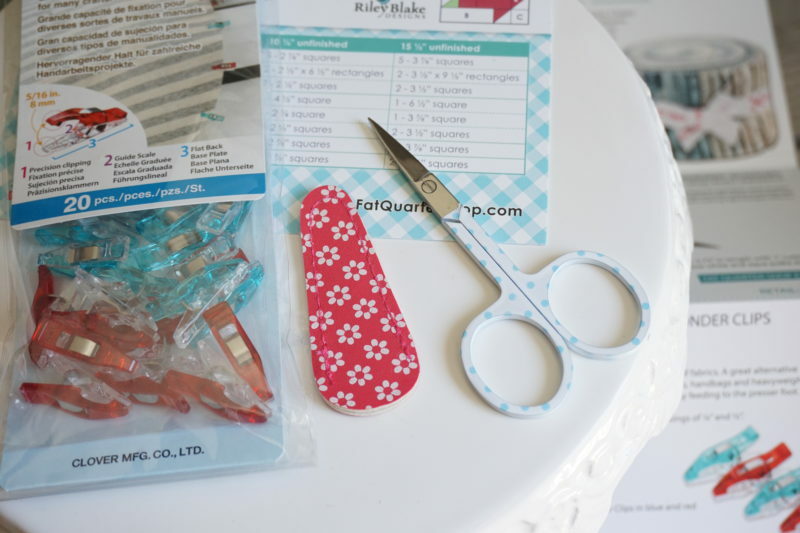 As mentioned, there’s a lot of fun quilty subscription boxes so it’s nice to get a sneak peek of what’s inside 🙂 You can read about my Quilty Box experience (a different subscription box) at this post. Here’s a sneak peak tutorial I have coming your way. It’s a tote bag, and it’s EASY to make! I used to go cross-eyed looking at bag patterns and generally stayed away from them. 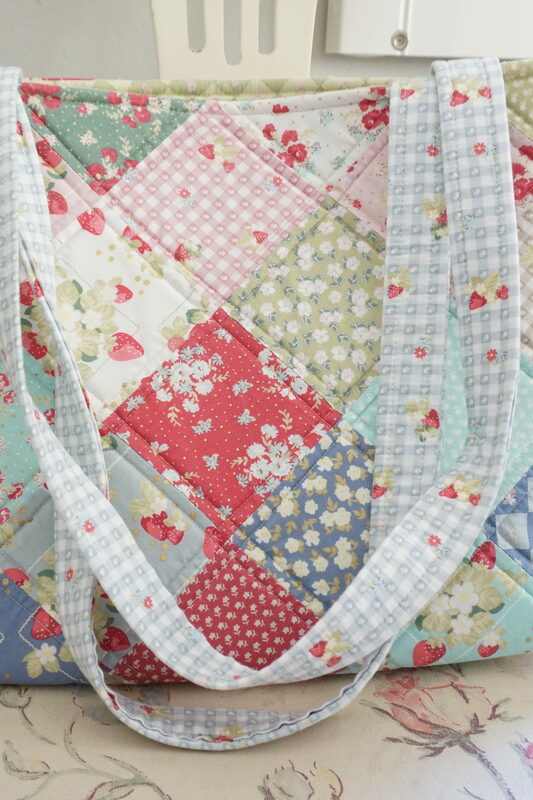 In this tutorial I will show you a basic tote bag tutorial. My goal was to show how simple they are to make in my upcoming (video!) tutorial. This tote uses fabric from my upcoming La Conner collection for Lecien Fabrics. 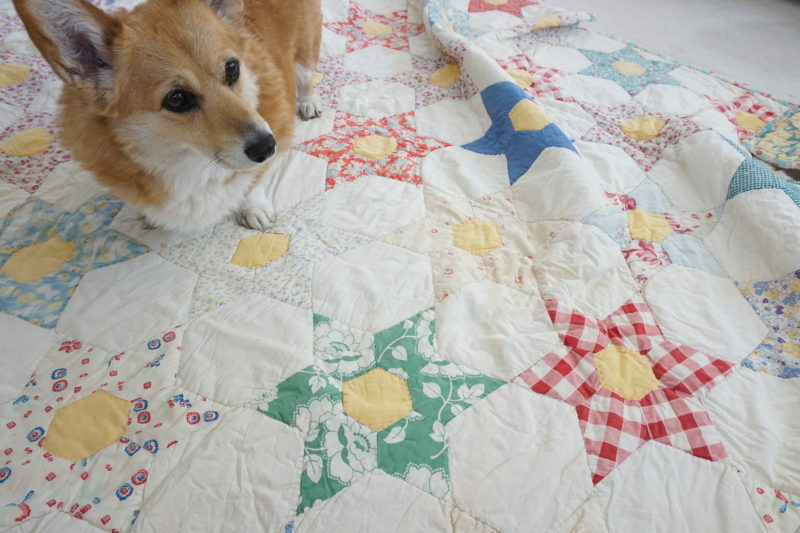 That being said, I am signing off with a corgi-on-a-quilt 🙂 A vintage quilt at that. What better way to end a blog post? Yes, they are growing too fast! And I love hearing when people are happy to see Paige. 🙂 Thank you for your comment – hope you’re having a good summer!